As a BMC Footprints administrator, I would occasionally hear our staff asking for push notifications to their smartphones. With a dozen desktop technicians out in the field, it’s common for one to help a customer and go back to their office, only to find their neighbor was having problems as well. BMC/Numara don’t supply a true mobile app (just a mobile friendly add-on), so how could we let technicians know of open tickets without writing a full app? 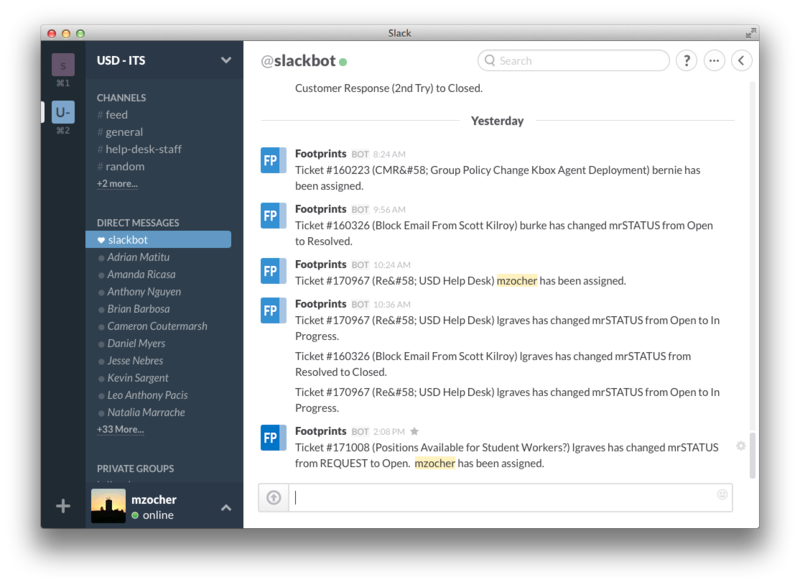 Enter Slack! If you’ve never used Slack before, I recommend watching the great video from Sandwich on YouTube. 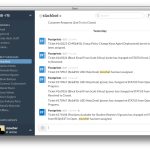 Slack provides a chat platform with amazing integrations from a wide range of systems. To quickly get messages out via push to a wide range of devices, I used the Slack system and applications to do my “heavy lifting” getting Footprints notifications out. The code is quite small and can be run on any server with PHP 5 with SOAP, as long as you’ve enabled the Footprints web API. I wrote this for 11.x, and while it should work for older versions (the API was still the same) I don’t know if all the tables are in place for older versions. It won’t work for 12.x yet. This is not a full featured product and will take some comfort with PHP and Footprints to get it running. Find the code and how to set it up on GitHub.